Hi there, you have come to the right place. 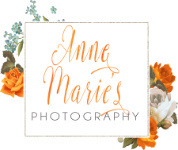 My name is Anne Marie, but my friends call me "Annie" and I am a professional photographer currently based in Fayetteville, North Carolina. Thank you for stopping by and taking a look at my work. I specialize in weddings, families, and portraits. My style is classic, timeless, and clean. I like to keep my life simple and aim to make our time together simply unforgettable as we record timeless moments in your life. I became a professional photographer by attending one top university art school and gaining a Bachelor of Fine arts in Photography. Thank you for looking around and I look forward to making beautiful wall art of your family for your home.